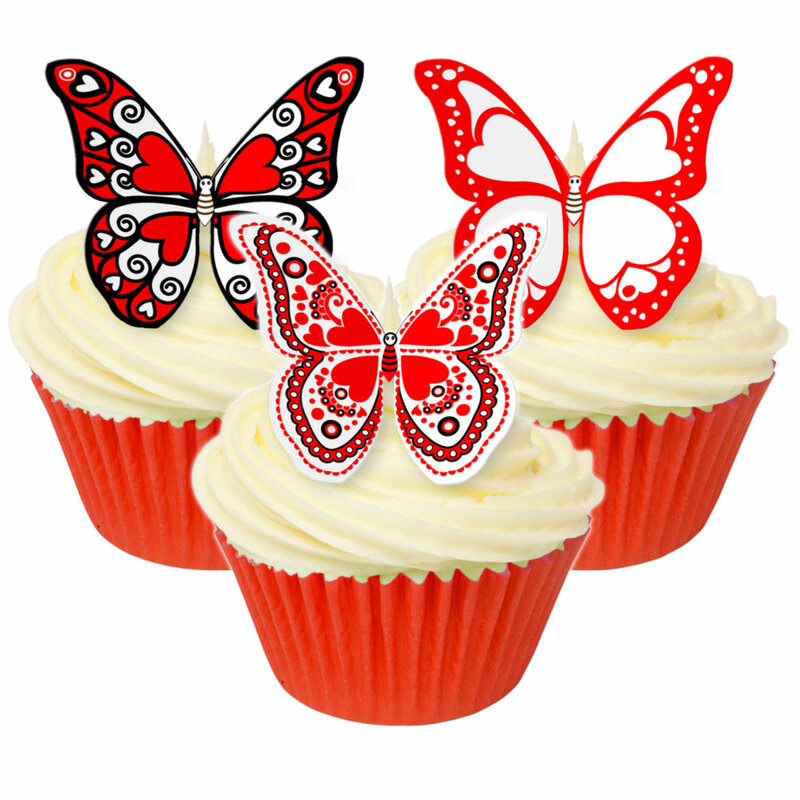 These beautiful butterflies are for lovers on every day of the year but will make Valentines Day extra special. Loving heart patterns in deep rich reds on our ever popular butterfly shape. As always our wafer has a mild sweet vanilla flavour - but sugar free of course.